The paradox of fertilizing plants in a garden is that these plants then beyond their bounds and we end up cutting them back or, in some cases, pulling them out. The term ground cover is a botanical name that in the years that we have been gardening on Athlone Street is a term that I now see as a fearsome one. Ground cover suggests like that other non existing misnomer, “maintenance-free gardening” that the gardener can sit back and relax and sip iced tea all summer. As far as I can tell from the experience obtained with all our hits and misses is that this scenario can only occur on a concrete deck equipped with a couple of deck chairs and a little table for the tea and the cucumber sandwiches. Unfortunately Rosemary will not have her chance to deny what I am about to write here. The majority of the plants mentioned above are plants that she initially purchased and then planted. These ground covers emerge early in the season and they will then shade my hostas as they come out of the ground. The ones that you would least likely suspect as being deadly are the frothy and beautiful Labrador Violets. They jump into potted plants or surround plants in the ground and they then weave a tight root system that will eventually choke much larger plants to extinction. There have been some recriminations of late but Rosemary and I have made peace as we methodically remove those ground covers. 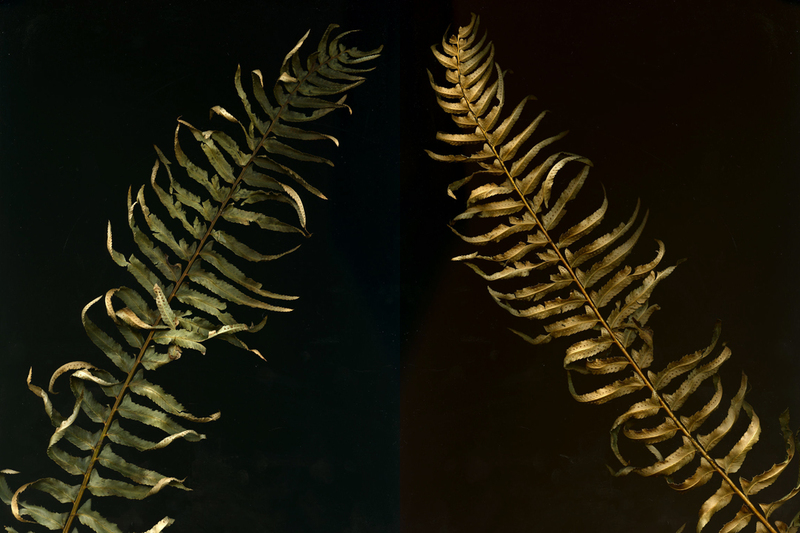 Taking many containers to our green dump I noticed a dried up frond from one of our sword ferns. I picked it up and I was struck by its beauty. For just a bit I forgot the thug-like ground covers and marveled at the beauty of plants even when they have been clipped away and discarded.